Summer is a popular time to get married, but why is everyone rushing to the altar when the weather heats up? Mythology might be partly to blame. The month of June takes its name from the Juno, the Roman goddess of love marriage, so it seems like “I do” and June are destined to go together. Rumor has it that June also use to be prime time for people to take their yearly bath during medieval times, so perhaps a clean, stink-free wedding night helped form the summer-wedding tradition. The truth is that there are a lot of reasons why summer weddings are so popular. Here’s why you might want to consider scheduling your nuptials from June through September. There is a certain amount of glitz and glamour to a formal winter wedding, but a proper, black-tie shindig isn’t for everybody. Warm weather weddings are an opportunity for guests to don their favorite summer dresses and linen pants. Is your Uncle Al more of a Levis guy? That works for an outdoor summer wedding, and Aunt Doris’s comfy sandals will be a lot more practical in the grass versus the strappy heels she’d need to complement a fancy gown. Memories from your wedding day will endure for a lifetime, so no one will blame you if you want the actual ceremony and reception to last as long as possible. Depending on where you’ll be staging your wedding, you could get sunlight until as late as 9 pm during the summer. That’s a lot of extra time to celebrate your love before you need to flip on the floodlights or rely on the bonfire to see your new spouse’s sweet moves. You also won’t feel rushed to pack in photos after an afternoon ceremony or turn a leisurely dinner into a dine and dash. Sit, enjoy your evening, and let the moment linger. No matter what time of year you choose to get married, weather is always going to be an issue, but snow and cold temps can wreak far more havoc than a little warm summer rain. Why does that matter? 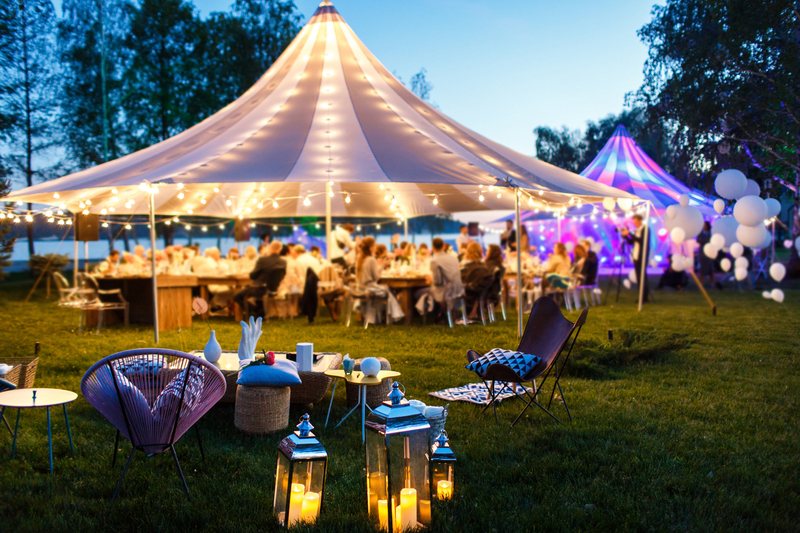 Because as long as you consider a tent or another bad-weather alternative, summer weddings offer up tons of inventive venue ideas that wouldn’t work in winter. The list goes on and on… you could even tie the knot at a block party in your own neighborhood or say “I do” in front of your lakeside cabin. As long as there’s room for you and your officiant, no spot is too small, and wide open spaces will be roomy enough to accommodate hundreds. There’s something about summer that resonates with people both young and old. Is it the nostalgia? The way the warm air makes you feel? The sound of the ice cream truck tinkling around the corner? The smell of BBQ and fresh cut grass wiggling its way to your nose? 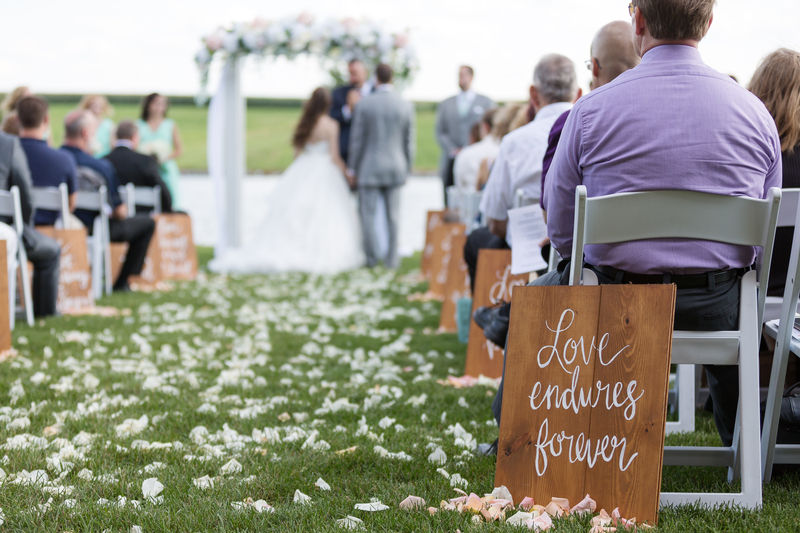 It’s hard to tell, but one thing is for sure: summer is almost universally revered and there’s no reason not to take advantage of the season when planning your wedding. A Day at the Farmer’s Market: Ideal for foodies, this theme could include tables named after various herbs, a farm-inspired menu (see below), “stalls” to display photos and food, and wedding favors like apple butter and packets of vegetable seeds. Boardwalk Empire: Encourage throwback fashion, set a taffy table for dessert, incorporate a beachy motif, and have games like balloon pop and ring toss available with quirky prizes. 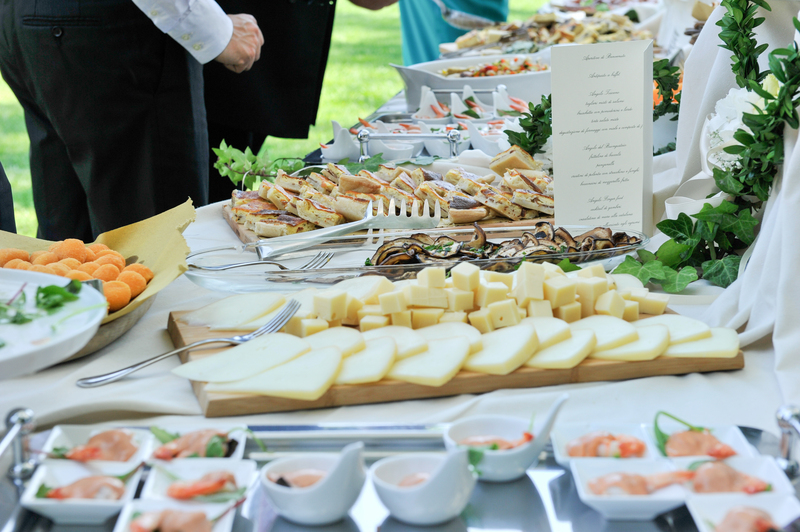 Picnic Party: Gingham, fruit- and herb-infused lemonades, individual baskets filled with fried chicken and potato salad, blankets for sprawling out on the lawn — it’s all part of a picnic-themed wedding, and it works even if ants or rain cause you to relocate the festivities indoors. Along with those whimsical themes comes a chance — nay, a requirement — to consider some imaginative fashion choices. Seersucker suits and parasols are vintage boardwalk chic come to life while a luau-inspired wedding is the perfect excuse to wear flowers in your hair and flip-flops on your feet. Let your theme guide your dress code or start with a My Fair Lady­-style striped dress and fascinator and then consider a “Day at the Races” theme. For anyone who loves dressing up or for couples who view cosplay as serious business, a summer wedding with a theme is ripe for dreaming up sartorial surprises. The only question is whether you provided guests with some accessories (flapper headbands and clip-on bowties for a 1920s celebration, for example) or let them figure out their ensembles all on their own. What’s more fun than spending summer on the water? Making those wet-and-wild activities part of your wedding itinerary. Imagine a morning ceremony that culminates in a paddleboarding lesson or swimming contest, or perhaps you swap out a limo in favor of arriving by boat. From kayaking to fishing and lots of water-based fun in between, getting married by the lake is lucky in more ways than one. Finding hotel ballrooms and event centers to be a little, well, tedious? Those venues are perfect for some people, but if you’re dreaming of a wedding without a roof to get in your way, summer is the right season for you. Summer weddings at the Lake House are a chance to bring nature back into the equation, so head outdoors and see what the elements have in store. Hang tea lights from trees and enjoy the soft glow of candlelight at dusk, indulge in a hike before your rehearsal dinner, use an existing stone path as your aisle, or say your vows under the sweeping bow of a tree that’s older than you are. Want to blow your wedding budget out of the water? Try lining your aisle with lilies and roses in the dead of winter. While many buds are now available year-round thanks to greenhouse growers and importers, those arrangements will cost a pretty penny — into double digits per stem for some more exotic varieties, believe it or not. On the other hand, everything from orchids to poppies to sunflowers are in season during summer. Availability is high which means prices are low. Source your flowers locally to minimize extra fees (and your carbon footprint) and pair purchased blooms with existing plants at your wedding locale for maximum effect. Sure, this is your special day, but if you plan on inviting guests, then you need to give their schedules some consideration. It’s easy for a winter wedding to fall too close to a major holiday, like Thanksgiving or Christmas, and even if you manage to avoid those celebratory landmines you risk forcing guests into a situation where they have to choose between buying flights home for Hanukkah or to your wedding — and you might not like how that decision turns out. Summer has a few holidays of its own, but they’re typically not the kind that mandate a visit to Grandma. Dragging 200 people to a one-hotel town in the middle of winter? That’s cruel and unusual punishment. But inviting your nearest and dearest to a lakeside retreat in the Berkshires when all of Western Massachusetts is delightfully green and glorious is one of the nicest things you can do. 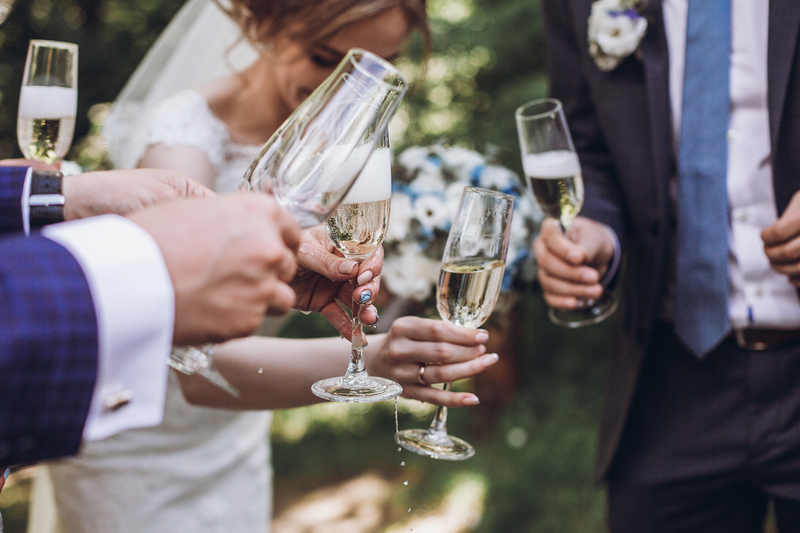 Your big day will obviously serve as the main event, but there will also be plenty for everyone to do before and after the ceremony and reception. 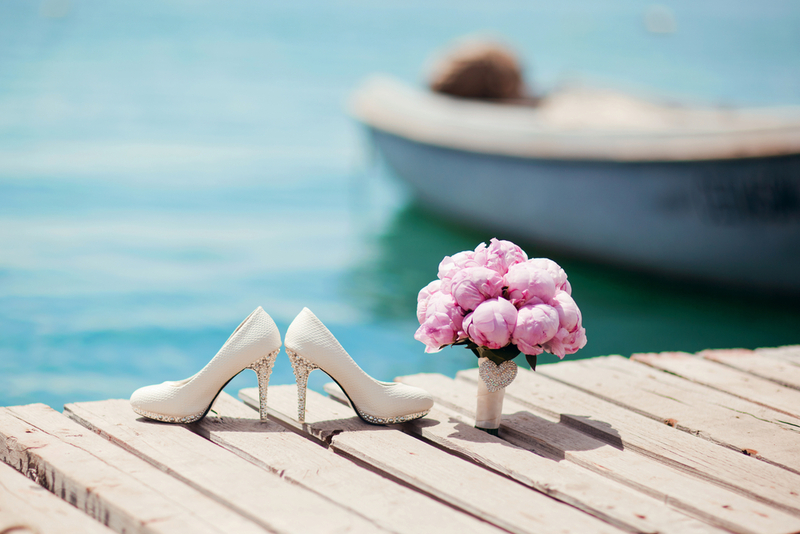 Your wedding won’t take the place of a phenomenal summer vacation, it’ll be the star of it. Many brides spend their whole lives waiting to wear a special dress on their wedding day. They spend thousands on a frothy confection of lace and ruffles or hunt for that perfect streamlined look only to then cover it up with a thick coat or wooly cardigan so they don’t freeze on their way to their winter wedding. Nobody wants to choose between fashion and comfort. Thankfully, summer weddings are just right for light and airy dresses, strapless sheaths, and myriad other designs. Dare to bear with spaghetti straps or show some leg in a frothy skirt split thigh high. Tulle, voile, chiffon — they’ll all float like a dream as you glide down the aisle. Get married after sunset in winter and you risk turning your guests into people-sicles. Try the same thing in summer and you get reasonable temperatures plus the right setting for smores, firefly chasing, and a first dance under the soft light of the moon. Get married at twilight, have snacks as the stars begin to shake off their daytime slumber and shine, then enjoy dancing in the dark until it’s time to waltz on home. You’re brimming with happiness to the point where joy might just come shooting out of your eyes. Nothing could dampen those emotions, but roads full of slush and dirty snow but cast a bit of a shadow. Summer is just the opposite. Everyone is on the go, flowers are in bloom, birds are singing, the sky is bright, and no one is moaning about the impending blizzard or feeling pale and sad due to months of chilly temps and borderline cabin fever. Does summertime sound like the right time for you and your sweetheart to take the plunge? 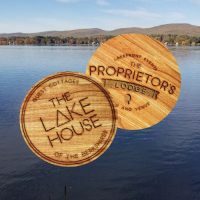 Consider booking your wedding at The Lake House in the sunning Berkshires. Our luxury cottages are beautifully appointed and provide the perfect accommodations for brides, grooms, and their attendants, or you can book in the whole family and enjoy all the amenities our boutique-style resort has to offer. The shores of Lake Pontoosuc is a sight to behold no matter when you drop by, but it’s truly exceptional as the backdrop to a love-filled summer wedding. For more information, request event information or schedule a tour and witness the magic firsthand.